Residents are being invited to a free Easter egg hunt. Photo supplied. Residents in Heathcote are being invited to take part in a free Easter egg hunt. The Easter egg hunt, which has been organised by Heathcote Parish Church, will take place on Saturday April 20 from 2pm and 3pm, with hundreds of chocolate eggs hidden around Heathcote, waiting to be found. 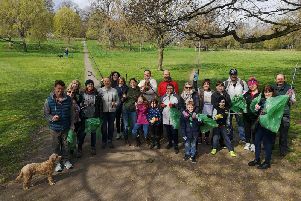 Inspired Villages, which owns and operates later living community Austin Heath, near Warwick, is sponsoring the annual Easter egg hunt in for the second year in a row – providing all of the eggs for the hunt. 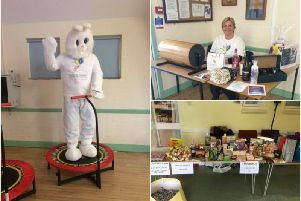 Janine Devaney, Community Liaison Manager at Austin Heath, said: “We’re so happy to sponsor the Easter egg hunt again this year, Heathcote is a small community and we’re really passionate about supporting local events and businesses. “It’s set to be a lovely day for all the family and I’m sure the local children will be very happy to get their hands on some chocolatey treats."